Nothing is more beautiful than the original, and the art of Trigan Empire artist Don Lawrence is certainly that. Now, there's a rare chance to view a huge range of his work, all offered for sale, coming up - but the catch is, it's in Holland. Organised by the Don Lawrence Collection team, the publishers of a series of stunning hardcover Trigan Empire collections in Dutch and English, on display will be Lawrence's art for his European strip, Storm, alongside art by Romano Molenaar and Jorg de Vos. Running from 16th-18th September 2010 at a carefully-guarded and, it seems, secret location in Oosterhout, Holland, admission is free but viewing is by appointment only. The opening hours on Thursday 16th and Friday 17th September are from 7- 10.00pm and Saturday 18th September 18th from 12.00 to 5.00pm. Artist Romano Molenaar will be at the exhibition on Friday and Jorg de Vos on Saturday. If you would like to visit the exhibition please register via infoATstorm.nl, giving a clear indication of what day and what time you want to vist. After registration you will receive the invitation with more information such as location in Oosterhout. As part of a fund raising night to support London radio station Resonance FM, themed around the subject of silver, Alex Fitch will be talking to comic book writer and novelist Simon Spurrier about the Marvel comics character the Silver Surfer, who he penned in a recent mini-series called 'In Thy Name'. Alex and Simon will be discussing the character's origins at London's Vortex Club, on and off the page and aspects of space opera and eschatology in his appearances. Simon is a regular contributor to 2000AD and has written several licensed works for the Black Library and Abaddon Press. More recently he's written scripts for both Marvel and DC Comics and has launched Gutsville through Image. His first non-licensed prose work, Contract, was published by Hodder's Headline Review in 2007. Other guests on the night will include representatives of the V&A's silver collection on the socio-economic and historical role silver played in British Imperialism; the BBC's central Asia correspondent on the geo-politics of silver; London's Pétanque society; a panel of art critics discussing Belgian surrealist René Magritte's portrayal of silver and Mark Pilkinson on silver in relation to contemporary mythology and sci-fi. 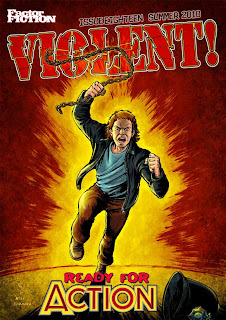 Issue 18 of Longtime indie comics publisher Jay Eales anthology Violent! is now available to download here for absolutely nothing. 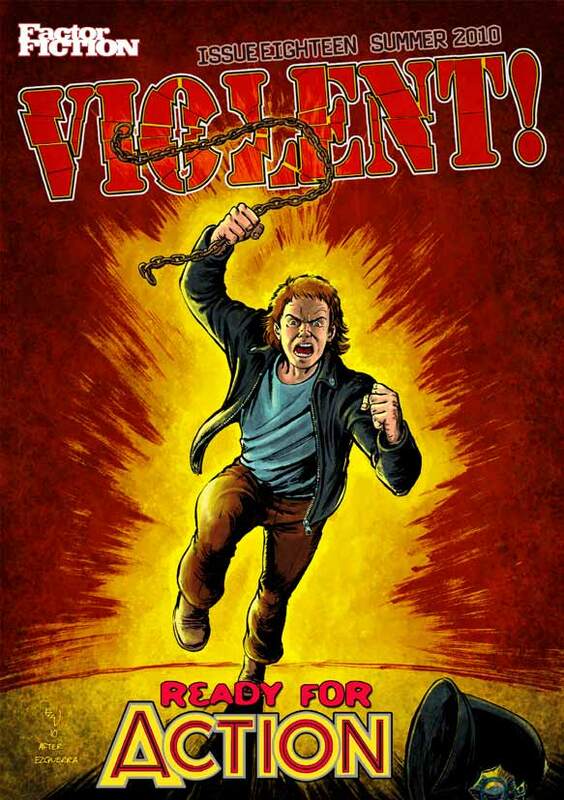 "There are no celebrities on the cover, I'm afraid," warns Jay, "Unless you count artist Kev Levell's homage to Carlos Ezquerra's notorious cover that helped to get Action banned back in the Seventies..."
Violent! was born as something of an Action homage zine back in 1999, launching at the first Bristol Festival. "It seems only fitting that we should pay tribute to Grandaddy Action now Violent! is entering its second decade of life," says Jay, "albeit in a new PDF format incarnation." For a free comic with no ads to cover costs, this issue features an impressive array of talent, not least of which is some truly stunning work for the humour-adventure strip Space Dude by Darren Douglas. (Collections of Space Dude strips are available from lulu.com). It's a strip that may offend some but very tongue in cheek and Darren's art continues to astonish. Other creators in the issue, whose work also shouldn't be sniffed at include Jay, Chris Askham, Paul McCaffrey, Curt Sibling and many other fine talents. So what have you got to lose (except, perhaps, your very sanity...) by downloading this free comic now and checking it out for yourself? • If you missed Violent! #17, go here. 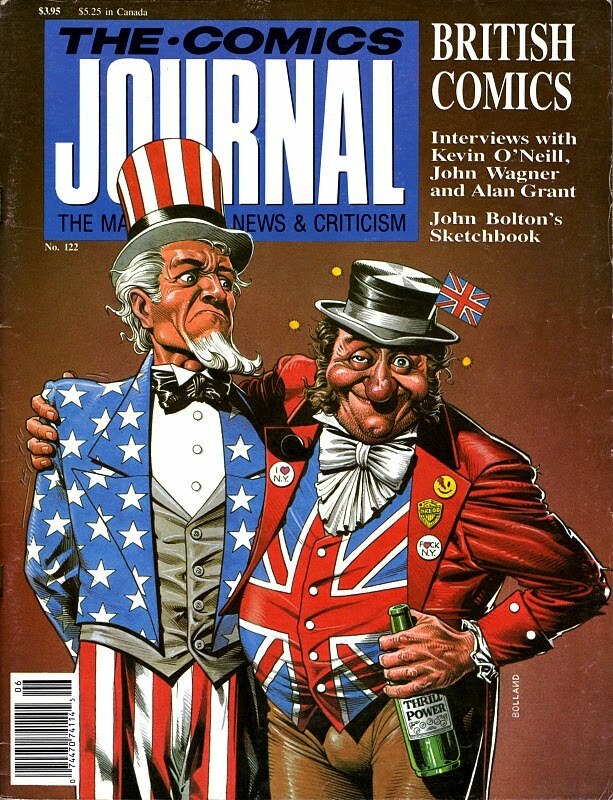 Starting a new series of the UK's only weekly radio show about comics, now under a new (old) name, Panel Borders has a month of shows looking at the 'British Invasion' of UK creators who have worked on American and American-style superhero titles. 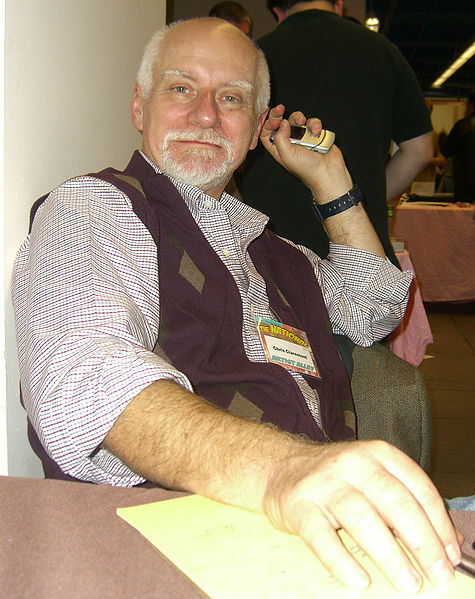 In this week's show, Alex Fitch talks to Chris Claremont, a veteran comics writer born in London who became one of the most prolific and popular American comic book writers of the 20th century, most famous for a 16 year sojourn writing the Uncanny X-Men from 1975 - 1991, with his last few issues selling in the region of eight million copies each. 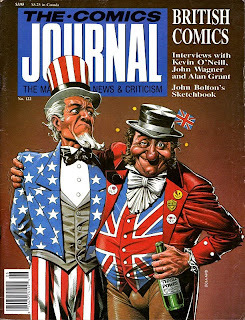 In the interview, the team focus on a superhero Chris created for the UK market - Captain Britain - in 1976, his relocation to America via the monthly comic Excalibur in 1988 and his more experimental X-Men spin off - New Mutants - which he created in 1982 and returned to writing last month. Also, in a 60 second (!) interview recorded at the premiere of Scott Pilgrim vs. the World in London, Alex talks to British director Edgar Wright about bringing a different kind of superhero to the screen. Print Media Productions, publishers of the upcoming monthly STRIP Magazine, have confirmed they will be exhibiting at the British International Comic Show. Publisher Ivo Milicevic, whose Bosnian comic titles include Strip, Metal Hurlant and science fiction title Plavi, will be at the event, as will STRIP Magazine editor John Freeman, who is also owner of downthetubes.net. 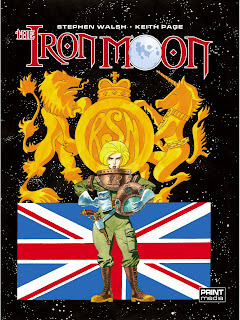 PJ Holden, one of the creators working STRIP Magazine, will be on the PMP stand at the weekend, as will screen writer Stephen Walsh and Commando artist Keith Page, signing copies of their new steampunk-inspired graphic album - The Iron Moon, the first PMP graphic album. John Freeman will be appearing on a panel organised by the Comic Book Alliance on Saturday, talking about the British comics industry. PMP has a range of graphic albums planned through 2011 and a special preview of these and STRIP Magazine will be available at the event. New originated stories planned for the range include The Quest, drawn by 2000AD and Interzone artist SMS; Age of Heroes by James Hudnall and John Ridgway; and a selection of European albums published in English for the first time, including L' Heritage du Diable (The Devil's Heritage) by Gastine & Felix. 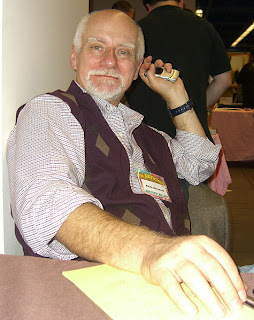 Creators whose work features in PMP titles include PJ Holden, John Ridgway, Keith Page, Jim Campbell, Michael Penick, Jon Rusby, Dean Deckard, Nick Spender, Mauricet and Gary Caldwell. More creators will be announced soon. The twentieth century is just around the corner and Queen Victoria is hale and hearty as she heads into the second century of her reign. The British Empire stretches from the white cliffs of Dover to the red skies of Mars. Go-getting men and women of the imperial dominions flock to the colours, eager to make reputations and fortunes in the wilds of high space. 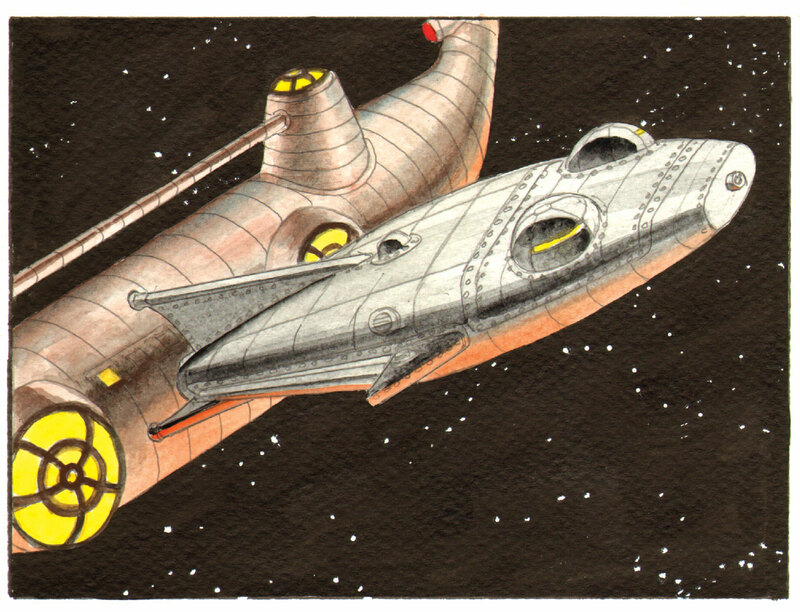 Inspired by the great British comics artists of the past such as Frank Hampson, Don Lawrence and Joe Colquhoun, Keith Page has worked full-time in comics and illustration for some 17 years. Subjects have ranged from television-related material such as Thunderbirds, science fiction, and his current war stories of all periods for Commando. 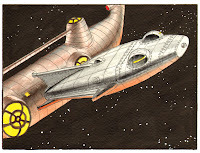 A variety of Keith's work can be seen on www.keithpageukcomicsartist.blogspot.com. Tube Surfing: 2000 AD, Posy Simmonds, Radio 4 and comics events too! To celebrate the release of Prog 1700 of 2000AD, fan Jason Garrattley is posting '...a week of rare bits and pieces from the archives (well, some old fanzines from the loft) from some of the cornerstone creators of the magazines' early years...' over at his blog. 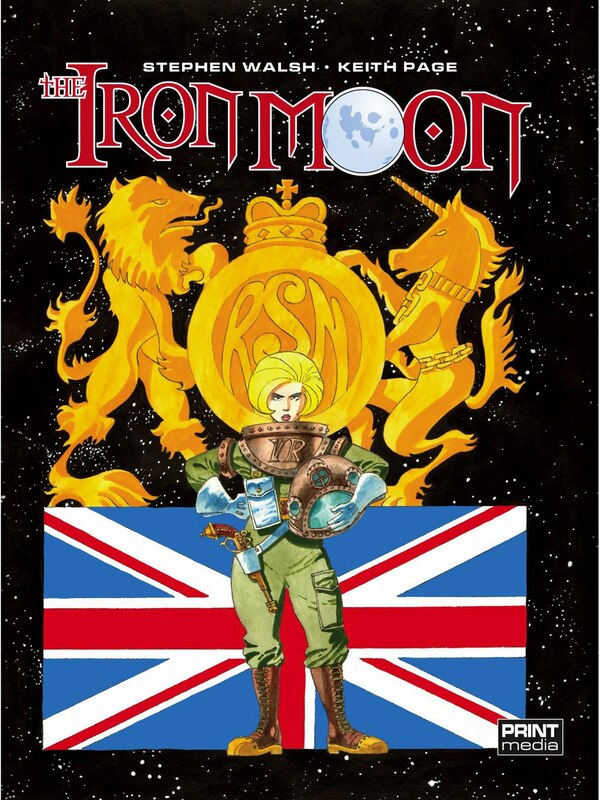 He's started with (excellent) posts on Brian Bolland and Ian Gibson. 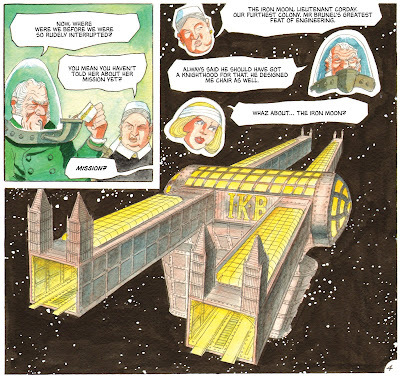 • Speaking of 2000AD, over at the Forbidden Planet International blog Joe Gordon has posted an insightful article about the early Judge Dredd strips. • Acclaimed artist Declan Shalvey (who's currently working on Marvel's Thunderbolts) will be signing at Forbidden Planet International in Dublin on September 16th. For the first time, Comica Festival and Laydeez Do Comics are thrilled to be teaming up to invite to London the important comic artist and writer, from the seminal underground comix of the Seventies to such icons as Wonder Woman, Barbie, Powerpuff Girls and her own GoGirl!, lecturer, curator and America’s foremost comics ‘herstorian’, Trina Robbins. She is coming over to present a paper at the academic conference Motherhoods, Markets and Consumption at the Saïd Business School at the University of Oxford on Monday 13 September and has kindly agreed to visit London for this special extra event on Tuesday 21 September. • Hey, the Guardian interviewed cartoonist Posy Simmonds on Saturday. She says the current state of newspaper illustration is encouraging in that "there is more of it, because papers are bigger and reproduction is so much better". But she worries that computer generated work is becoming "samey", and about the decline of political cartoons. "It is very sad, although the great Steve Bell and a few others are notable exceptions. But maybe it's a sign of the times. How interested are people in politics? Are they getting their satire on jokey emails?"